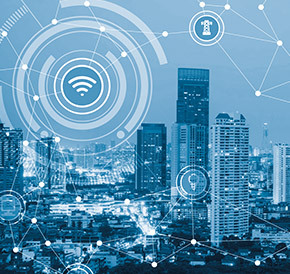 SMART CITY SOLUTIONS develops solutions for the city of today and tomorrow. It focuses on the digitization of the city as a living space. 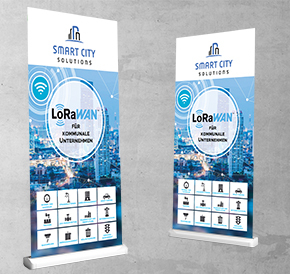 The advertising agency MARTES NEW MEDIA from Karlsruhe creates a 6-page information brochure on the topic “LoRaWAN” a radio technology for the data transfer in the Internet of Things and a roll-up banner for exhibition appearance.